True rosewood species (Dalbergia congestiflora) also know as Camatillo. 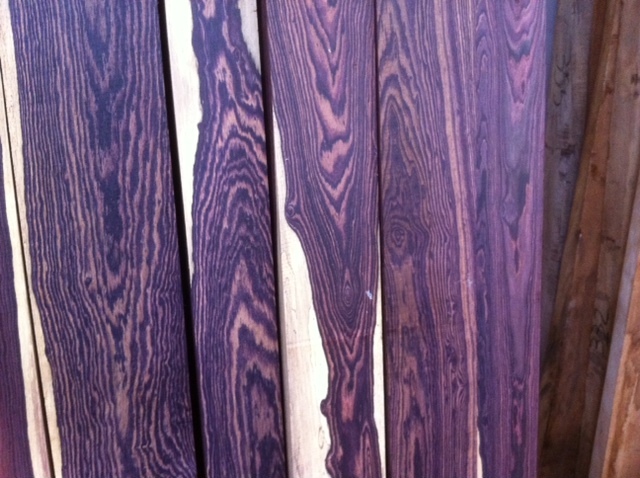 Excellent alternative to Cocobolo with similar working characteristics/tonal qualities. Great for duck calls, musical stock (flutes, guitars, bagpipes, etc), fine furniture, jewelery boxes, knives, etc. Meican Kingwood is currently available in lumber, turning stock, musical stock and logs/billets. Please note: On January 1st, 2017 Mexican Kingwood (Dalbergia congestiflora)) was listed on CITES Appendix II which placed strict regulations on the international trade of the species. We are actively researching the specific CITES guidelines with both domestic and international agencies. This would allow us to continue to supply high quality wood in the future while still helping to maintain the sustainability of the species for future generations. We highly recommend taking advantage of all current stock while we still have some in stock! Please contact us directly for more information in regards to available select sizes, custom-cut material, etc.